 Greenhouse Reinforced Plastic Sheeting is a 3 ply laminate. 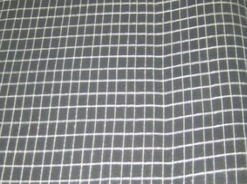 It consists of 2 layers of polyethylene and a high strength cord grid.This films multiple layers and cord reinforcement resist punctures and tears. 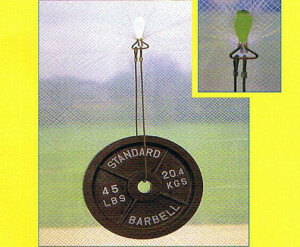 Just look at the picture of the 45 pound weight hanging from a sheet. UV stabilization protects the material from degradation during extended exposure to sunlight. Cold-crack resistance eliminates failures in extremely cold temperatures. Greenhouse Reinforced Plastic Sheeting is flexible and light weight for easy handling and quick installation. It is available in clear or white. The clear has 80% light transmission. The white has 20% light transmission. The life expectancy is 30 to 48 months, although we are seeing much longer times. Stock rolls are 12′, 20′ and 40′ rolls , 100 feet long. Depending on where you measure (due to cords) the manufacturer states this material is 8 – 10 mil thick. Please allow 7 – 10 business days for the production of custom sizes. To order select the width you want and put the number of feet of length you want in the quantity box. The shopping cart will calculate the cost for you. For example, if you choose the button for 12′ wide and put quantity of 50, you will receive a piece of film 12′ wide x 50′ long. Shipping is included in the prices to the continental US. 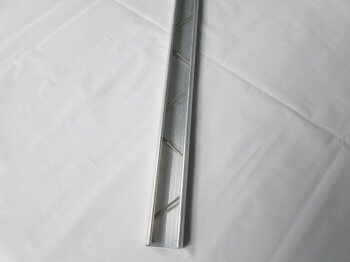 We also have clips available for installing greenhouse reinforced plastic sheeting. As with any polyfilm, you want to make sure that you have this installed tightly, but not too tight. If the sheeting is loose, high winds will cause the film to repeatedly hit your greenhouse frame, which may result in failure of the film. Please do not order exactly the size you need. We suggest you add at least 2′ to all 4 sides of your greenhouse reinforced plastic sheeting to be sure you have enough material for installation. 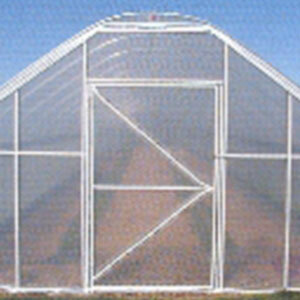 The clear reinforced greenhouse plastic sheeting has 80% light transmission. 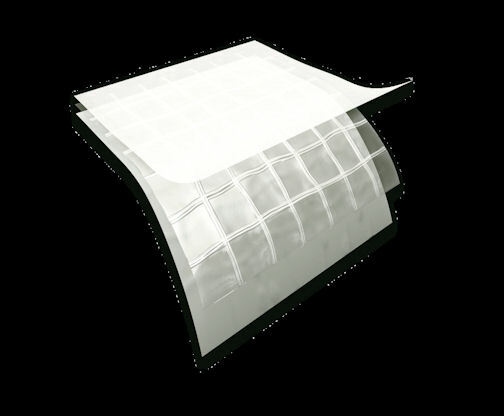 The white reinforced greenhouse plastic sheeting has a light transmission of 20%. These clips are only available with an order for our reinforced greenhouse plastic sheeting. They are easy to install and dependable. Batten Tape will securely fasten your greenhouse polyfilm to a wood framed greenhouse. Available in 500′ rolls.